You are here: Home / Polls / Poll Results: What you want to see on the CSC in 2019! Poll Results: What you want to see on the CSC in 2019! A few weeks ago, we posted a survey asking what sort of content you’d like to see on the Curvy Sewing Collective blog in 2019. Over 300 of you responded, giving us some really helpful feedback! Today, I’m posting to share the survey results with you. Most of you clearly love the Same Pattern, Different Bodies series, which even slightly beat out standard Pattern Reviews. This should come as no surprise, since ever since the beginning, we’ve heard that one of the main values provided by the CSC is showcasing a variety of patterns on underrepresented curvy bodies. Not surprisingly, Pattern Throwdowns were also quite popular, since those are a great way to see how similar patterns compare side-by-side on a curvy body. I’ll make a quick note here about the Pattern Roundups, which we included as an option to gauge interest in possibly bringing those back in some form. Many of you seem to enjoy them; however, they are a ton of work to put together, and frankly, they also generate a LOT of complaints. First of all, it’s difficult to keep up with all of the new releases in a month, and we’d get complaints from pattern designers whose new patterns weren’t included. (Never mind that we’ve never framed those posts as a comprehensive new pattern release guide.) We’d also get complaints from readers about the lack of curvy bodies in the promo photos that we’d repurpose for those posts. (We can’t really do anything about that, as we’d use the promo photos made available by the pattern designers.) We tried cutting back the length of the posts to a “top 10” list, but we received complaints about that, too. With this in mind, we’re evaluating if there’s a way to bring these back and maintain our sanity. On that note, we welcome anyone who wants to volunteer to write the pattern roundup posts. 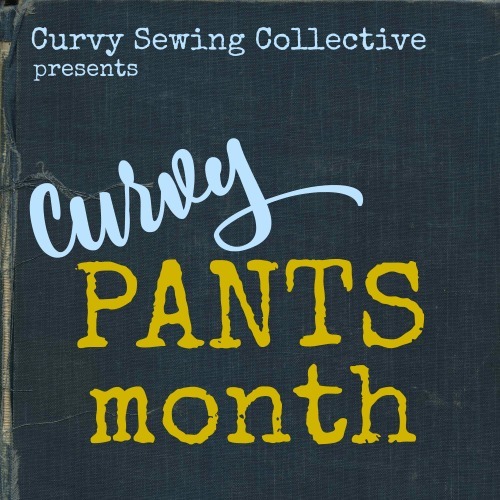 If you’re interested in taking over pattern roundups, please email us at curvysewingcollective@gmail.com. Which pattern companies would you most like to see featured in pattern reviews and other posts in 2019? List up to 3. Do you have any ideas or requests for posts that you’d like to see on the CSC in 2019? We received a wide array of responses to our “requests for posts” question. Many of you re-iterated your desire to see us feature more patterns from size-inclusive companies. Even more of you asked for us to include more posts on fitting, with requests running the gamut of more fitting tutorials to showing how we work through our muslins. I think that this feedback really hits at the core of what we set out to do with the Curvy Sewing Collective–empowering curvy women to sew the garments that they want to wear. Are there any specific patterns that you’d like to see reviewed or otherwise featured in a CSC post? In response to asking if there were specific patterns you’d like to see featured, we received requests for many popular indie patterns that haven’t yet made an appearance on the CSC, such as the Closet Cast Patterns Sasha Trousers, Sew House Seven Burnside Bibs, and the new Megan Nielsen jeans patterns. At a high level, you also want to read more about curvy lingerie, curvy activewear, historical/vintage sewing, tailoring, and sewing more professional/business attire. (Note that in some of these categories, we’ll largely be seeking out guest contributors, as most offices have relaxed dress codes these days, and Tanya and Jessica are the only ones on the editorial staff who really sew vintage.) That said, we would welcome guest posts in any of these areas, if you’d like to contribute. 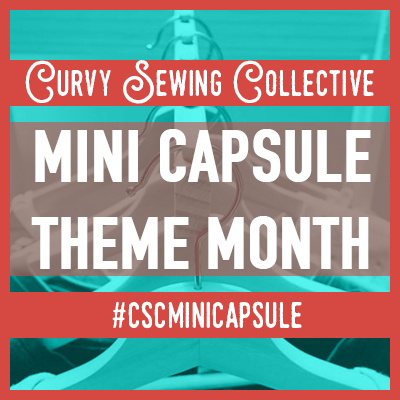 Please email us at curvysewingcollective@gmail.com to share your knowledge with the rest of the CSC community. We received a lot of really thoughtful feedback in response to our poll, which we’ll be using to help guide us through our next year of content. A number of you also expressed positive feedback for the Theme Months and Curvy Year of Sewing challenges that we’ve run for the past two years. While we love that so many of you enjoyed those challenges, they are a ton of work to coordinate, and while we won’t be hosting our own versions this year, look for more collaboration with the Sewcialists going forward to create a fun atmosphere for sewing motivation. Additionally, a number of CSC editors and regular contributors will be taking part in the #2019makenine challenge this year–look for an upcoming post about that and sew along with us! We’re also working hard behind the scenes of the CSC right now to bring you more inclusive content on a number of levels. Some of you who indicated that you might be interested in writing guests posts for us have already heard from us; those who haven’t heard from us yet will likely be hearing from us in the coming months as we look to celebrate a wide array of curvy bodies of all shapes, sizes, and ages throughout 2019. Thank you for all the hard work you do! You ladies are a constant inspiration for creativity and body positivity, and I really appreciate what you’re trying to do with the CSC. I also want to say thanks for providing a bit of an explanation on why certain types of posts have changed or are difficult to sustain. I absolutely loved the long, detailed monthly pattern roundups but I had no idea they brought in so many complaints. I miss them but understand now why they might have been difficult or frustrating for the authors who were putting in so much effort and time. Maybe it might be easier if it’s a submission based thing, like putting the call out to the pattern companies and asking them to send in a pattern description, link and their favourite curvy tester or promo photo if they’d like any new patterns to be featured? I hope you are able to find a way to continue them in some way that keeps your sanity intact! I’m all for trying to be as inclusive as possible, but in the end I think we as readers also need to recognize that all of the contributors are providing us a free service AND are all just human. I’m looking forward to seeing what the CSC has in store for 2019! I’m curious about what people are looking for when they say they want to see professional/business attire. I’m planning to upgrade my work wardrobe a bit this year, but I’m thinking pencil skirts and fitted cardigans, not blazers and buttondown shirts. Do you think there would be an interest? If so, I’ll email with more of my thoughts. Hi, Michelle! What’s exactly a pattern throwdown? I’m not Michelle, but I can answer. Look here: http://curvysewingcollective.com/category/curvy-patterns/pattern-throwdowns/ to see a few of the Throwdown posts on the CSC blog. Thanks for all of your hard work. I just want to thank you Michelle and all the CSC for all your work. I really appreciate that some of the tasks you mention are a ton of work and that you cannot do everything and are also open to sharing out tasks with others who have time/experience rather than keep doing all the same things . One of the aspects that has always set this collective apart is your absolute openness and willingness to share especially around issues people can find difficult. This is a safe space for us and I have learned a lot in an encouraging but not overly ‘serious’ atmosphere. This is no mean feat and you should all be enormously proud of what has been achieved. Whatever you do, it’s going to contribute to making our lives happier and saner! I, for one, am very appreciative of all your efforts! Many, many thanks! Amen to what Patty says! Thank You CSC!! 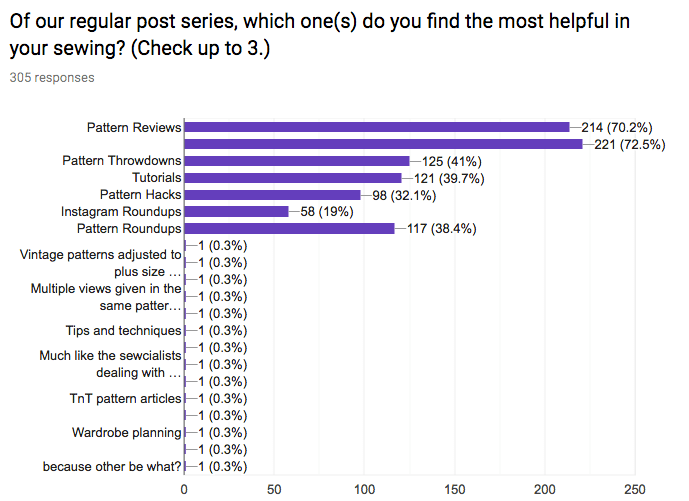 I asked for that in the survey…There is one tutorial on the subject, but it’d be great to have more and perhaps more pattern reviews from people with a proportionally bigger rear. That tutorial, while awesome, doesn’t cover everything. Thank you for all the info that you have compiled for this site. I am in agreement with the folks who did the poll and want to see more pattern reviews of independent companies. Would you be interested in writing up reviews of Lagenlook patterns? We all tend to sew for our own style and having posts on how to achieve differing looks would be really useful from someone with more experience. I haven’t sewn much for myself the last couple of years (mostly doing costumes and such for my teen kids), but I’m hoping to start doing some more pieces for myself later this spring. It’s very hard to find patterns for Lagenlook, but I have a few in my stash I’ve been wanting to sew for ages. (I got them in Germany where the look originated.) I’ll keep track with pictures once I start & if the stuff turns out, I’d be happy to post. I’m a self-taught seamstress, so I may not have all the technique down, but I’ll make a good effort! Thanks! Thank you for everyone’s hard work. I love your totorials they are so helpful. Thank you all for the hard work that ges into these posts. I look forward to reading everything you “ladies” write. 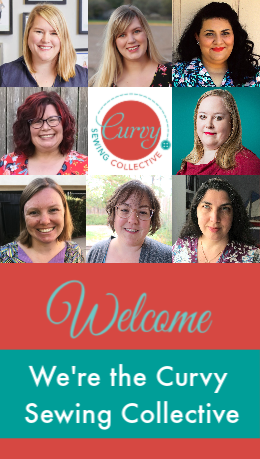 Curvy Sewing Collective is brilliant. Thank you all for offering this alternative vision of sewing. Thanks for the poll results. Your newsletter is so encouraging and full of enthusiasm. I am looking forward to what each month will bring.